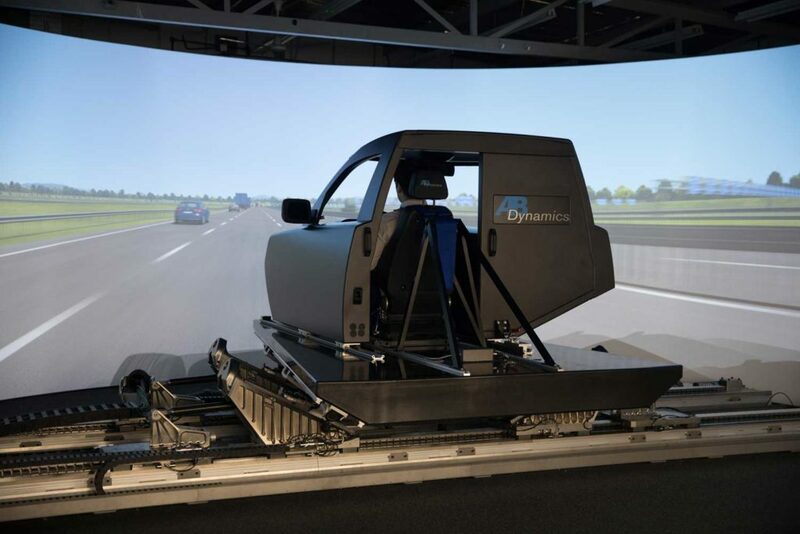 In a study to understand and measure how drivers and autonomous vehicle systems interact in the safest and most stress-free manner, the Kempten University of Applied Sciences, in Hochschule, Germany, has announced that it will be using an advanced driving simulator from AB Dynamics. The aVDS is a driver-in-the-loop simulator that will enable the researchers to gather subjective and objective feedback on the performance of driver assistance and fully autonomous vehicle systems. One of the primary concerns with self-driving technology is how drivers are able to respond when control of the vehicle is returned to the driver in the circumstance that the system cannot perform a certain maneuver. The third-generation simulator will feature a real car steering system and employ visual, audio, haptic and vestibular cueing to provide drivers with a level of authenticity that evokes genuine responses and reactions to the simulated scenarios. Researchers will utilize a simulation-based method and toolchain for evaluating autonomous systems, to measure drivers’ stress levels and explore the safest way to conduct a handover. “Driver-in-the-loop simulators are essential to assessing the capability of ADAS and AD at an early development stage,” explained Prof. Bernhard Schick from Kempten University of Applied Sciences. “Virtualization is an important trend to increase the effectiveness and efficiency of ADAS and AD development. Real prototypes are expensive and becoming less common. Complex vehicle test scenarios are difficult to carry out on real roads.